A few months before the publication of my book Looking at the Stars, I was asked one of those ‘which book is it similar to?’ questions. 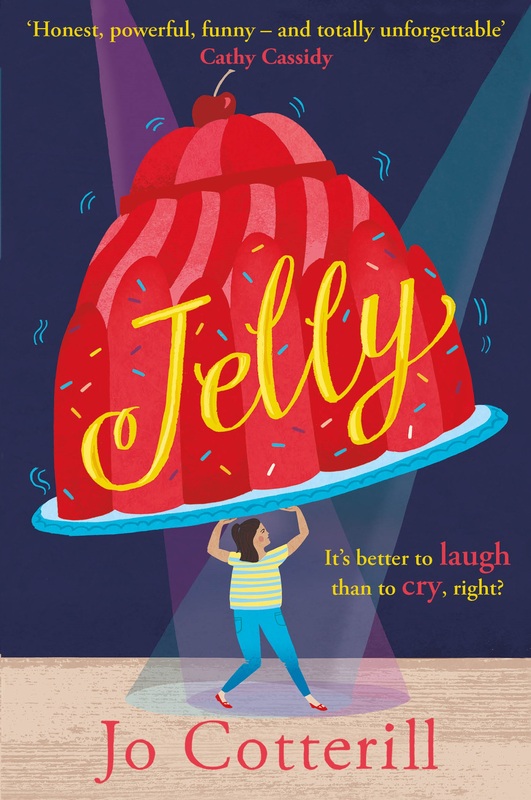 They’re always hard to answer, partly because you cling to the hope that your book is original – that no one has ever written anything quite like it before – and so thinking of another book that’s the same kind of thing is almost painful! However, I did think of two – The Silver Sword by Ian Serrailler, and The Breadwinner by Deborah Ellis. 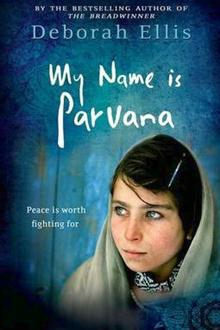 I read The Breadwinner several years ago, and the story of Parvana, the Afghan girl who chops her hair off and dresses like a boy in order to get a job and find food for her female family members to eat (since the father has been arrested and they are not allowed to leave the house unchaperoned) made a great impression on me. Parvana is a child with no childhood, or at least not one we would recognise here in the Western world. She is forced to confront mortality and brutality on a daily basis, as so many children do around the world today. Deborah wrote a sequel, Parvana’s Journey, which I also read and very much admired. Parvana leaves her home town (like Amina is forced to in my book) and makes new friends who become her family along the way. There is a third in the series, Mud City, which I didn’t know about until recently. It follows the story of Parvana’s friend Shauzia after they are separated. Now there is a fourth in the sequence: My Name Is Parvana. In this book, Parvana is again fighting oppression: this time on two fronts. The book is split between a present day situation, in which Parvana is being held on charges of suspected terrorism by foreign soldiers, and flashbacks to the setting up of a school for girls, headed by Parvana’s mother, which causes great alarm among the male-dominated society. It is clear that between the past and the present, the school has been destroyed in some way but what is not clear is by whom or how. In some ways, the plot is incidental. Parvana herself IS the story, as she has been all through this series. Her desires for independence, creativity and freedom mixed with a strong sense of familial duty are what drive her on. They are also responsible for getting her into trouble on more than one occasion. Parvana has made a decision not to speak to the foreign soldiers – at all. This requires great mental effort on her part, but she has learned many mental and emotional skills over the years and so she is able to withstand far more interrogation and intimidation than most. I found the scenes where she dug deep into herself to be fascinating. It was like watching a skilled technician hypnotise herself; go into a place no one could find her. The flashbacks to the school were almost light relief, at least to begin with, as we see Parvana’s friction as she rubs up against her know-it-all sister Noori and her un-affectionate mother. The book of course highlights the enormous difficulties in educating girls and women in countries that do not consider them to be proper citizens. And there are plenty of obstacles in the way of Parvana’s mother, who is essentially an unlikable character but we can sympathise with her passionate desire to improve the lot of the women around her. Parvana, though, is the star – and although I’m sure I’ll forget the plot of the book over time, I won’t forget Parvana. The tagline of the book is ‘Peace is worth fighting for’. I’d go so far as to say Parvana is worth fighting for – and she represents those millions of girls all around the world who have no voice of their own. Parvana should be listened to, because through girls like her (and the real-life Malala Yousafzai, shot by the Taliban for publicly promoting education for girls) the world can be a better place – not just for girls and women but for everyone. Wychwood Festival, here I come!